One of my favorite beers from last year was my Fake Tire Amber Ale (a clone of Fat Tire). The first batch was so good that I brewed it again! 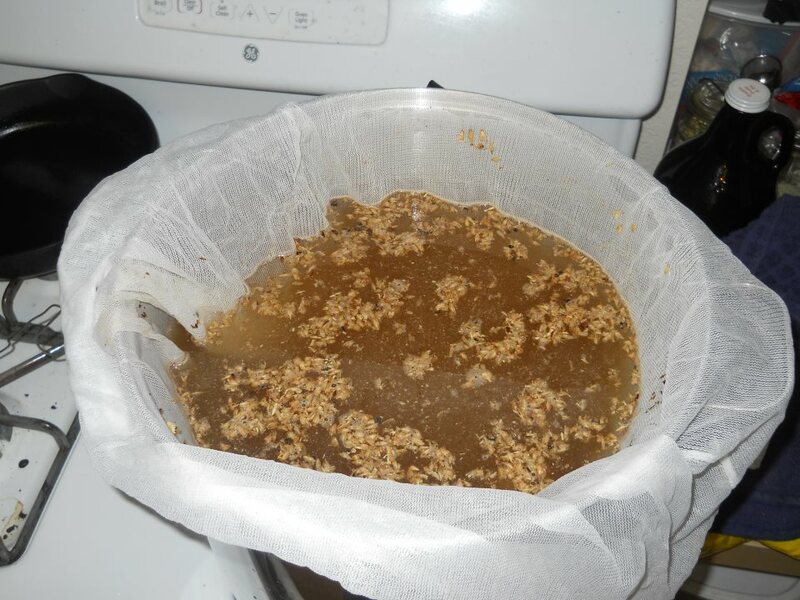 The second batch was largely the same as the first, except I used pelletized hops instead of whole hops. The unfortunate effect was that the beer was slightly more bitter. Thus, I decided to further refine my pelletized recipe for this brew session. Following advice elsewhere, I reduced the overall hops amounts by 10 percent, to compensate for the greater surface area (and contribution of bitterness) from the pellets versus the whole cones. I also changed the yeast, from Wyeast 1272 (American Ale II) to White Labs WLP051 (California V Ale), based on what was available at my local homebrew supply shop. I heated 3.5 gallons of tap water to 154° F, and steeped the grains for 45 minutes. Then, I sparged the grains with 0.5 gallons of tap water at 154°. After bringing the mixture to a boil, I turned off the heat and added the malt. I brought it back to a boil, and threw in the Cascade hops. After boiling for 45 minutes, I added 1 tsp. of Spanish moss. After boiling for another 12 minutes (for 57 minutes total boil), I added the Mt. Hood hops. After 3 more minutes (60 minutes total of boiling), I cooled the wort with my chiller, added cold tap water to a total of 4.5 gallons, and pitched the yeast. Pitching temperature was 76° F, and starting gravity was measured at 1.052 (gravity is recalculated to what it would be at 60° F).